J. Steven Gardner is a prolific author and writer on significant mining engineering issues, with his pieces appearing in dozens of leading industry publications that reflect vast and deep experience in consulting work that has taken him across the country. 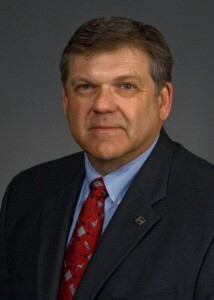 Since 1983, he has served as president and CEO of Engineering Consulting Services, Inc., (now ECSI, LLC). Mr. Gardner is responsible for business and project management, planning and development. ECSI, based in Lexington, Kentucky, provides civil, mining, and environmental engineering services, surveying, health and safety evaluation and training, litigation support and laboratory and analytical services. Born in Green County, Kentucky, Mr. Gardner earned a B.S. in agricultural engineering from the University of Kentucky in 1975. He earned an M.S. in mining engineering in 1991, and an environmental systems certificate, both from UK. His career in the mining industry began when he accepted a position as project engineer in the Elkhorn Division of Bethlehem Mines Corporation. By 1979 he was a partner and consulting engineer for Big K Operating Company /(U.S. Coal Company). (now part of National Coal). Handling engineering, surveying, labor relations, coal sales, organization and future development plans for 2,500 acres, his responsibilities with the company rapidly increased. During the early 1980′s, he was named vice-president in the engineering division of Kenwill, Inc., headquartered in a job that took him to Maryville, Tennessee. He also served on the Tennessee Department of Labor’s volunteer mine rescue team. One of his many successes includes his role as project manager for a public funded exhibition mine. Portal 31, Kentucky’s first exhibition coal mine, was the American Council of Engineering Companies’ of Kentucky (ACEC) 2010 Grand Conceptor award winner and was in the top 24 projects nationally honored at the ACEC Engineering Excellence Award Dinner in Washington, DC (unofficially known as the Academy Awards of Engineering). Another impressive project involved a Cumulative Impact Assessment (CIA) for Middle Fork of the Kentucky River, which featured the development of CIA protocols and a report for a client in preparation for a U.S. Army Corps of Engineers permit for a large mountaintop mining operation. The CIA included taking a cross-section of impacts within a HUC 8 watershed (360,000 acres), collecting and analyzing macroinvertebrate sampling and surface water monitoring. Mr. Gardner organized and managed this large project with a multi-disciplinary team consisting of 20 consulting groups and over 100 engineers and scientists. Mr. Gardner organized similar CIA projects on the other five major HUC 8 watersheds in Eastern Kentucky, which are arguably the largest watershed assessments done to date. In addition to his many engineering achievements, his expertise is frequently requested for testimony, depositions and technical investigations utilized in litigation support. Mr. Gardner has been devoted to both his community and the engineering industry, serving on boards and committees, while giving back his time and talents to dozens of worthwhile organizations. Mr. Gardner lives in Lexington, Kentucky. He has two daughters and two grandsons.